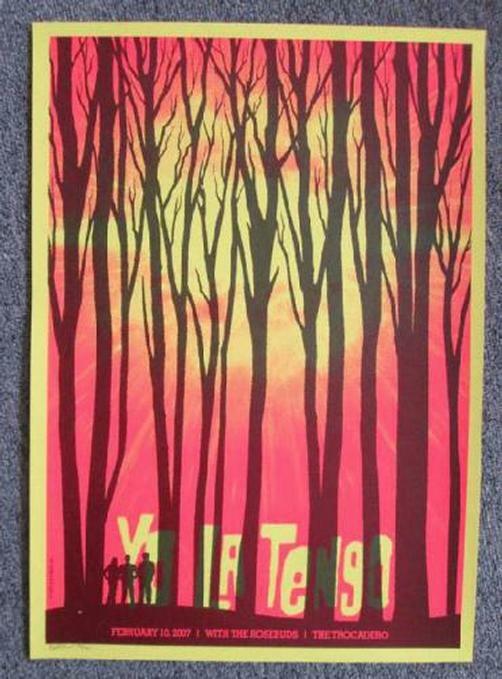 Original concert poster for Yo La Tengo and The Rosebuds at The Trocadero in Philadelphia, PA in 2007. 17 x 24 inches. Signed and numbered out of 200 by the artist Todd Slater.